Want to recite Aarti Shri Kunjbihari Ji but have difficulty in reading the Hindi verse; we have sorted that for you with Aarti Shri Kunjbihari Ji ki in English. 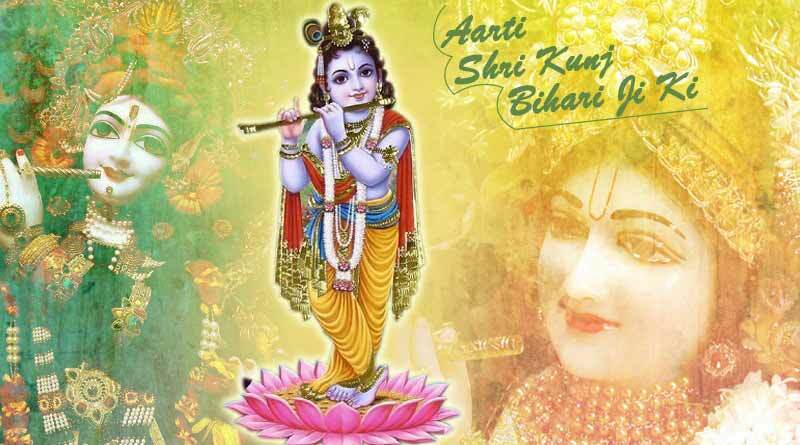 Shri Kunjbihari is one of the hundreds of names of Lord Krishna, where the word Bihari is referred to Krishna and Kunj stands for Vrindavan, where Shri Krishna grew up and spent his entire childhood. Aarti Shri Kunjbihari Ki is recited on many occasions related to Lord Krishna like on Krishna Janmashtami, etc. This Aarti is recited to seek the blessings of Lord Krishna. It is also recited in many Hindu homes while they say their daily prayers. Here is Aarti Shri Kunjbihari Ji ki in English. For more details on Aarti Shri Kunjbihari Ji Ki in Englishand related updates, like and subscribe to tentaran.com.